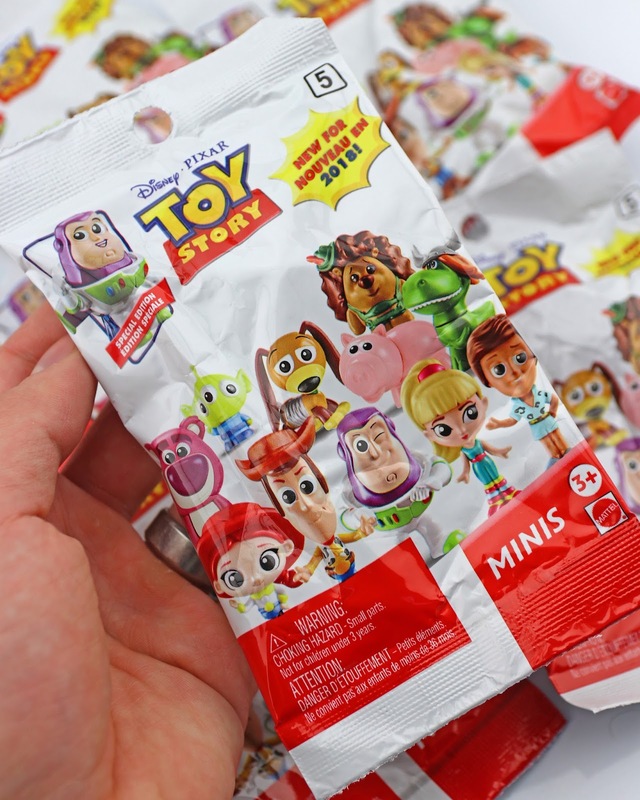 Alrighty guys—after a month of searching around in my area, I finally found SERIES 5 of the Mattel Toy Story "Minis" blind packs today at Walmart! It's about dang time they hit the east coast. I've received several emails regarding these lately and when I would be posting on them, so I'm thrilled to finally be able to give you my full detailed review! All caught up? 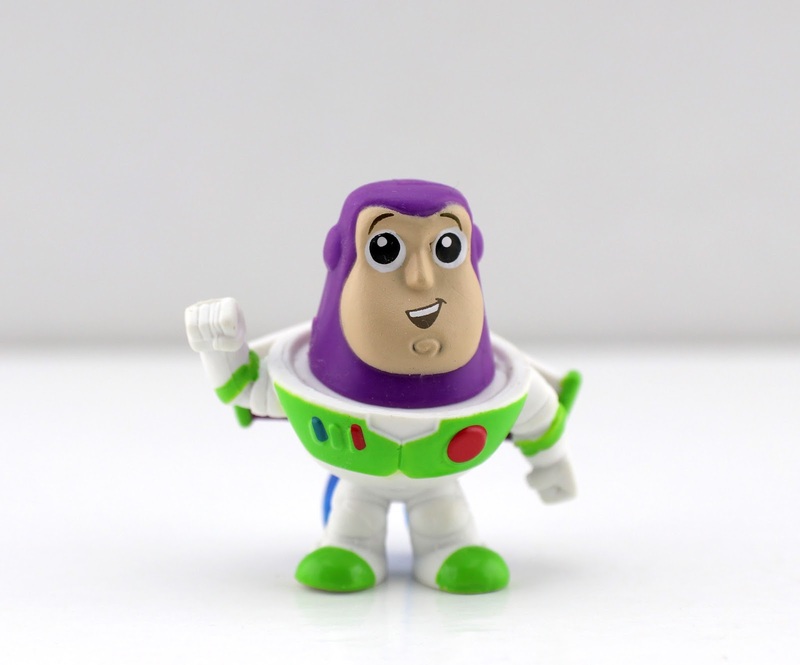 OK perfect...To infinity and beyond! This series includes 12 characters total (though many of them have been previously released). 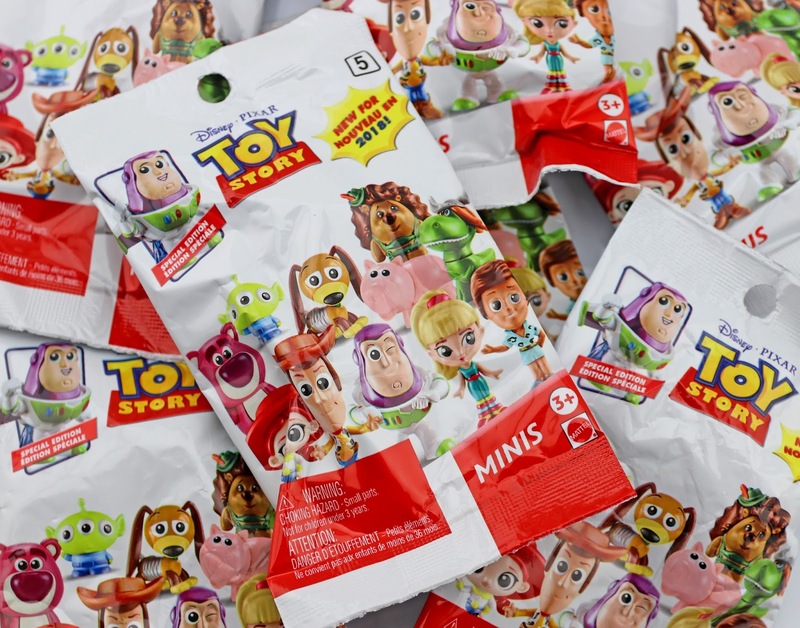 The ones that are NEW to this series are: Woody (new variation), Buzz Lightyear (new variation), Ken, Barbie, Mr. Pricklepants, Rex as "Partysaurus Rex"and a fully new Blue Flame Jetpack Buzz Lightyear (which is this series' "Special Edition")! They're the ones I'll be taking a look at today. 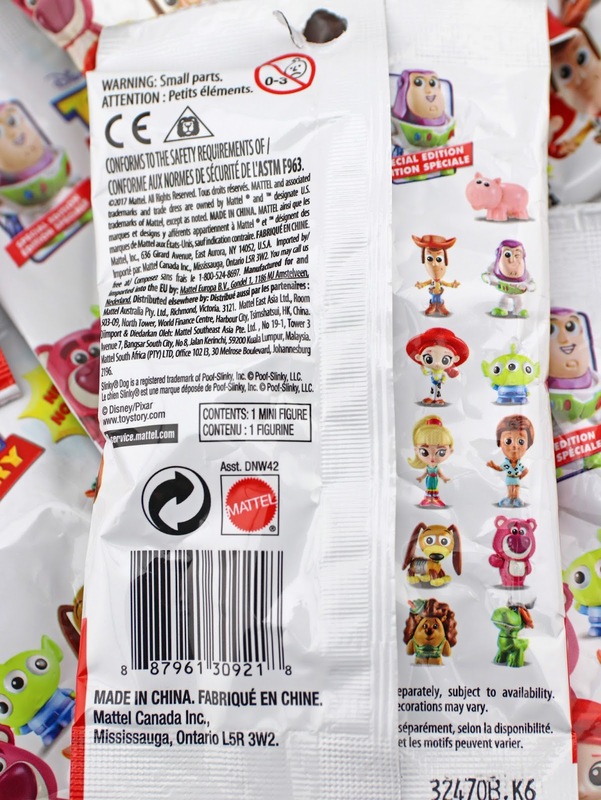 Hamm, Slinky, Lotso, Jessie and the Alien have all been released several times previously. And guess what! I'll save you the trouble of trying to feel for which character is which. Here are ALL the blind bag codes (which are printed on the back bottom right corner of each bag, as seen in my photo below)! C6: Rex as "Partysaurus Rex"
I hope that helps! Now lets take a closer look at each character. 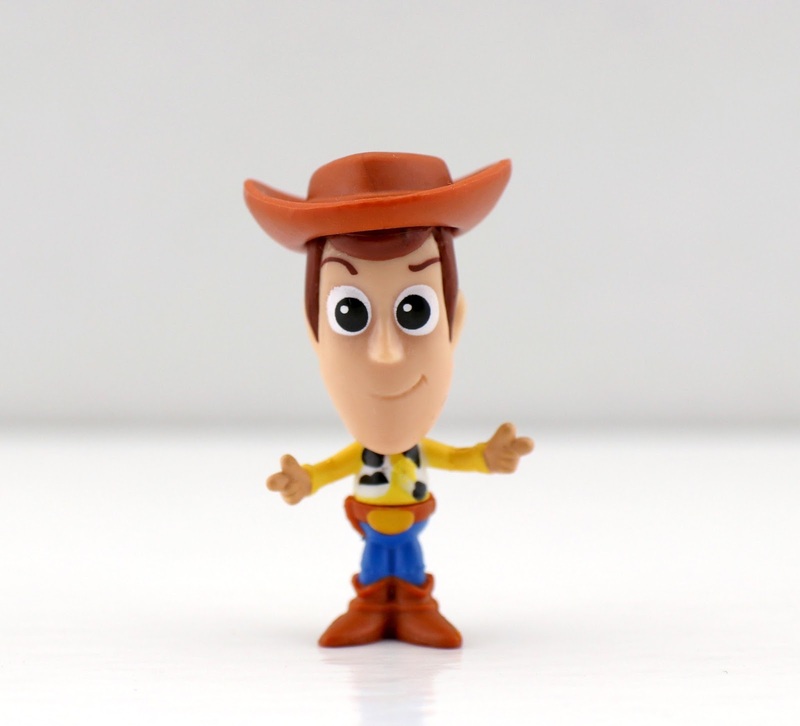 This new variation of Woody, though similar to the other versions, is the first to have both arms up with the hands in a "quick draw" pose. Like usual, his hat is removable. 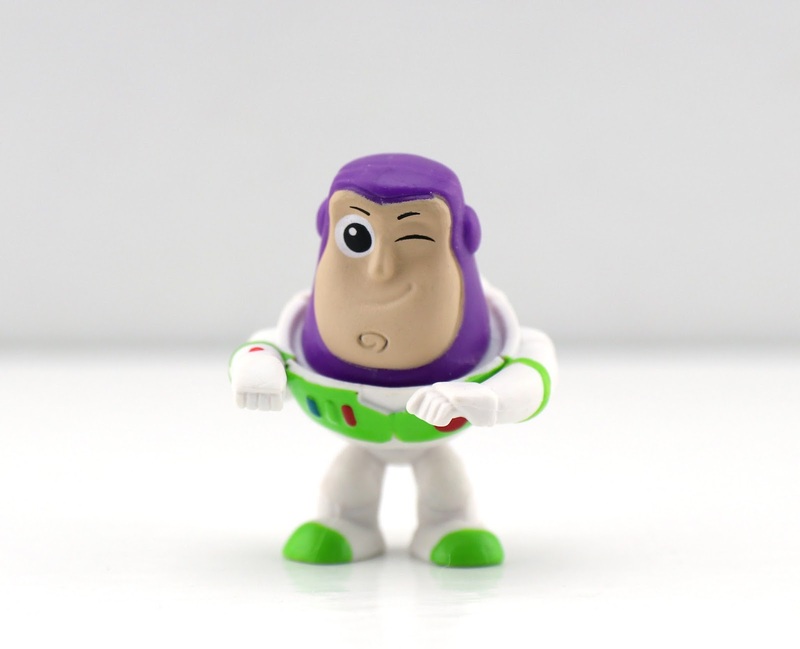 This Buzz is almost identical to the Buzz that came with the spaceship vehicle. The only difference is that this Buzz is without the blue belt (which technically makes this one new). Now onto the fully new characters...check out this Ken in his "animal lovin" outfit! Completely awesome and hilarious. I don't have hardly any Ken merch, so this is a most welcomed addition. Same goes for Barbie! I don't have much merch of her character represented in my collection. This mini is so cute! 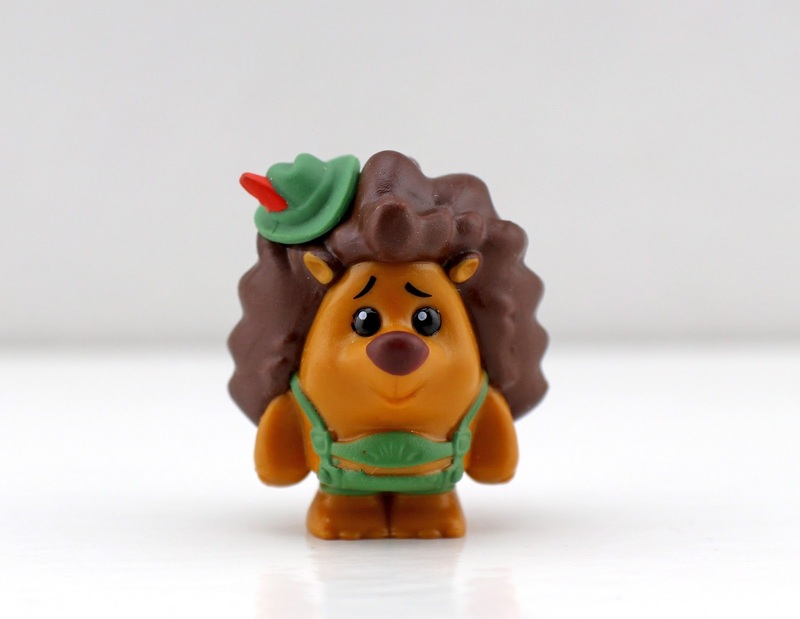 Mr. Pricklepants is one of my favorite Toy Story side characters. His thespian demeanor is hilarious. It doesn't get much cuter than this little mini here! OK I'm so surprised they released this one! 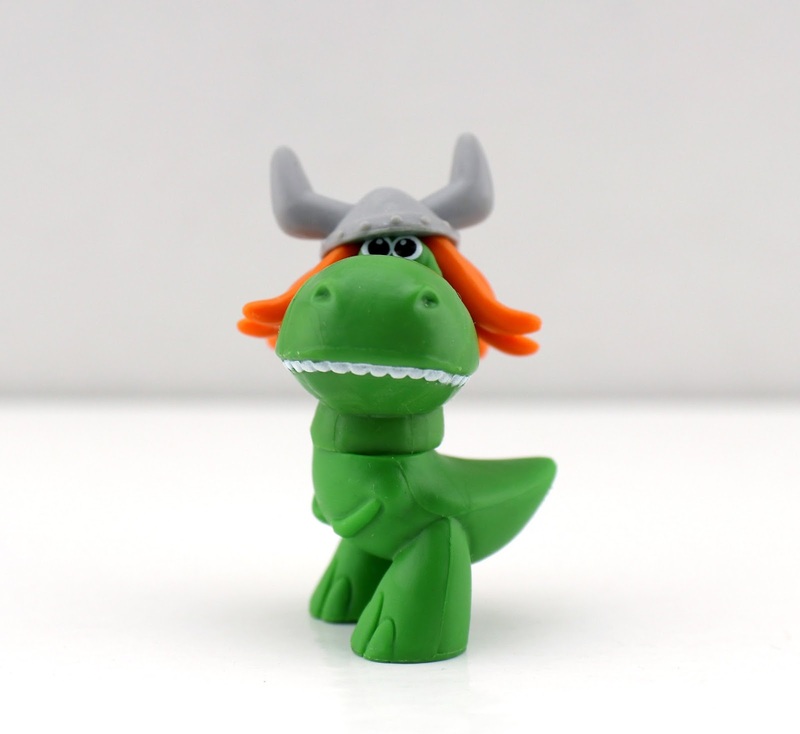 Partysaurus Rex is one of my favorite Toy Story Toons, but it's not very known to the general public. This mini is completely adorable—a must have!! This Buzz sports a totally new facial design (love the new mouth) and some awesome translucent blue flames blasting from his jetpack! 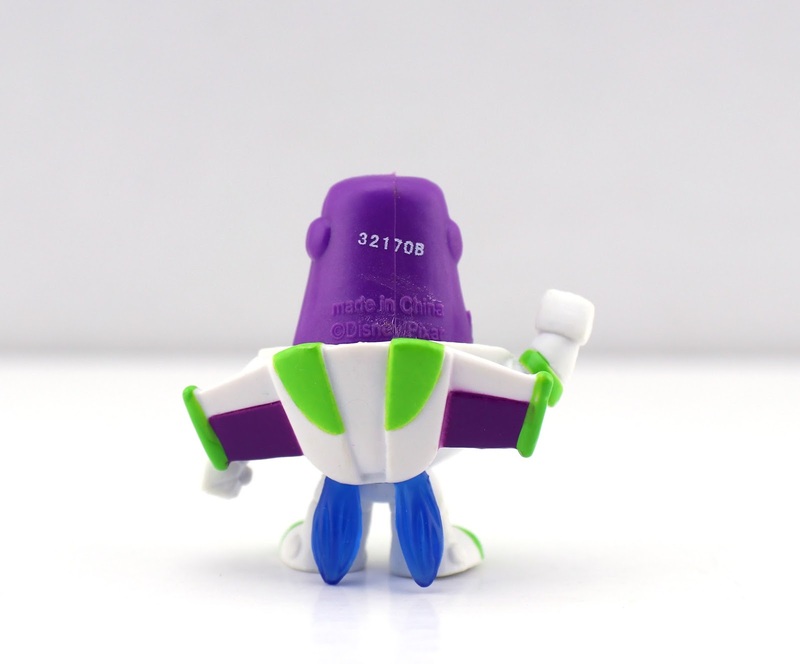 This one, it seems, is based off of Buzz's flying scene from the very beginning of Toy Story 2. Love it! 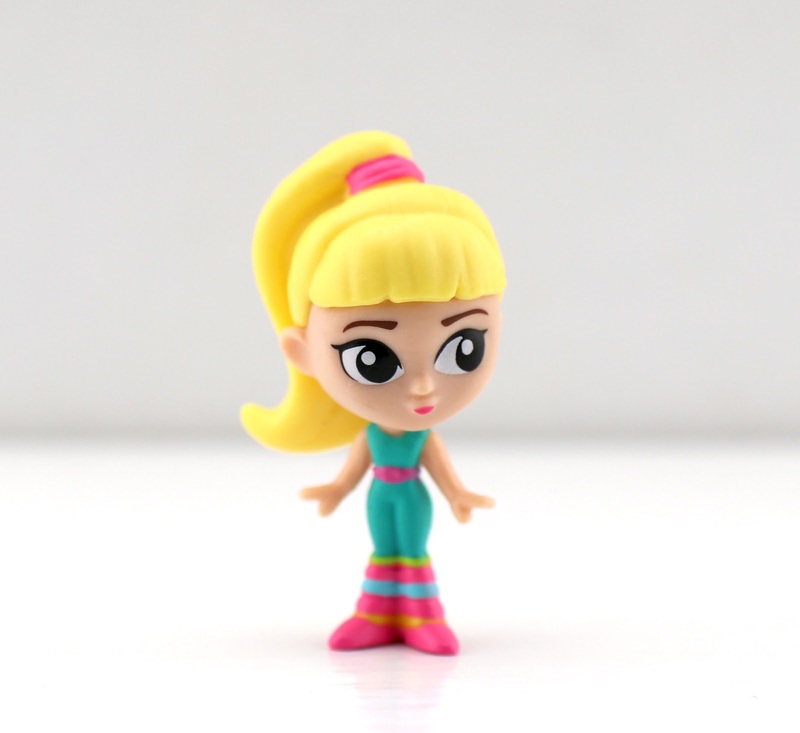 Once again, these are MINI figures; like seriously mini. 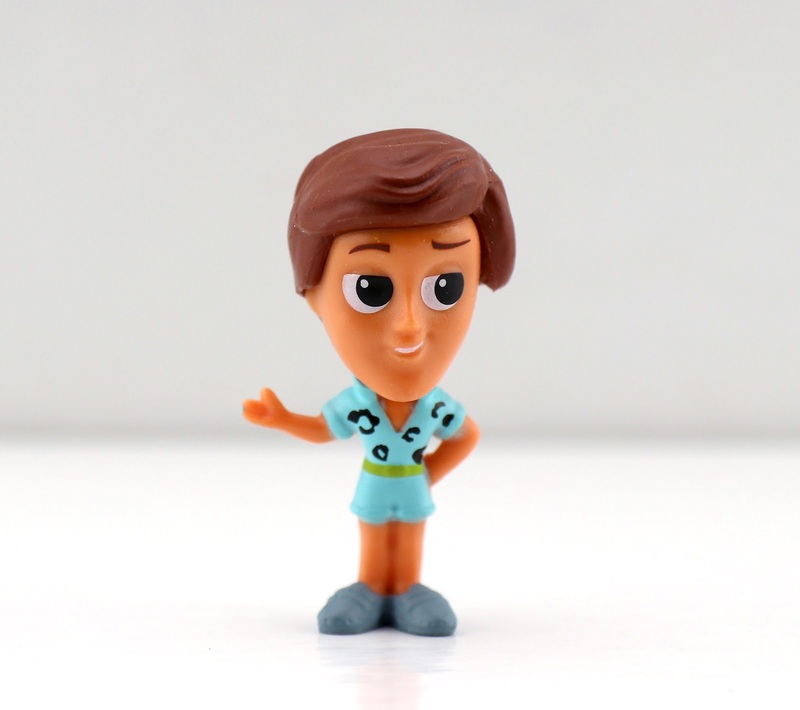 They stand just over an inch tall, are made of hard plastic and have very limited articulation (as in most of their heads and turn, but that's about it). Retail price for each figure is $2.88. There we have it folks! If you're interested in tracking these down for yourself, be sure to check you local Walmart (that's where I found them and where reports across the US are coming from). Let me know your thoughts below (I love to hear which ones are your favorites) and shout out who you'd like to see made next in this line! 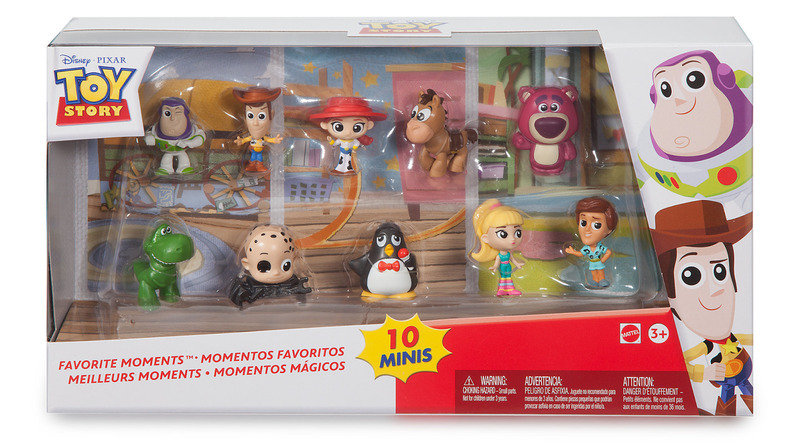 UPDATE: There is also currently a new 10-pack of Toy Story Minis on the ShopDisney site, which has a "first look" Babyface figure!! I really hope that Babyface gets released as a blind bag soon as well (so I don't have to pay $22 for one figure). 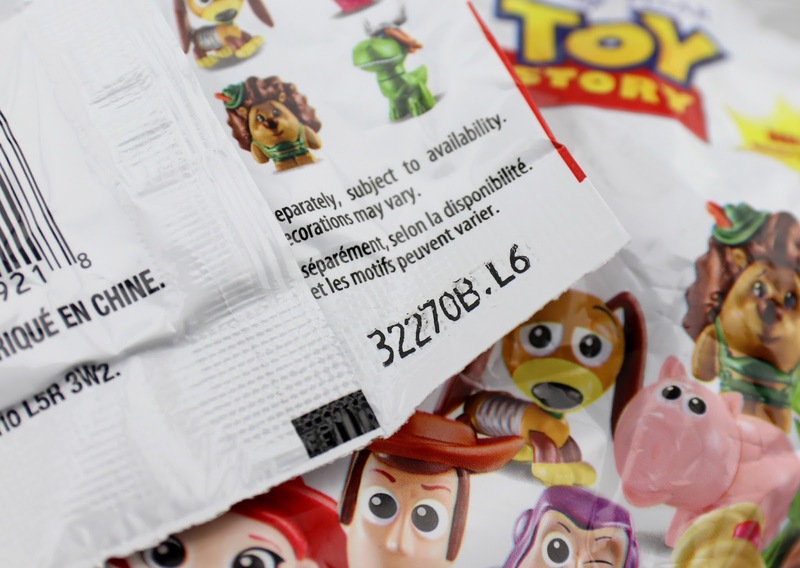 UPDATE 2: Added my blind bag opening video below! Visit my YouTube channel HERE and be sure to like and subscribe.